Bahay Kubo is a traditional Filipino song with a simple tune. 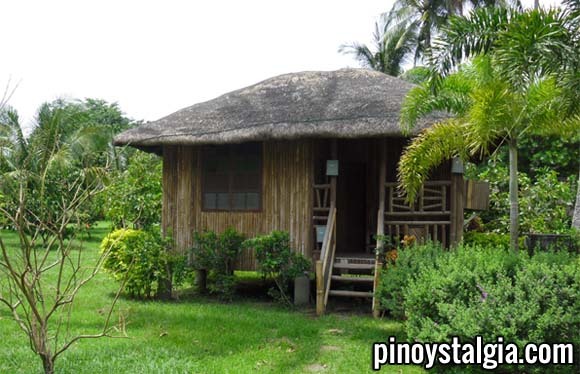 The term “Bahay Kubo” refers to a simple, Filipino house made of Nipa leaves and Bamboo. The songs is like a short poem about the house and the many vegetables that are grown around it. This is how it sounds like, in case anyone is wondering. I think this is the cutest version posted on YouTube. A cute little girl manages to recite the whole song. I think it’s just adorable how she struggles to pronounce each word. This is an amazing choir version sung by foreign children. The pronunciation is a little off but it still sounds amazing.